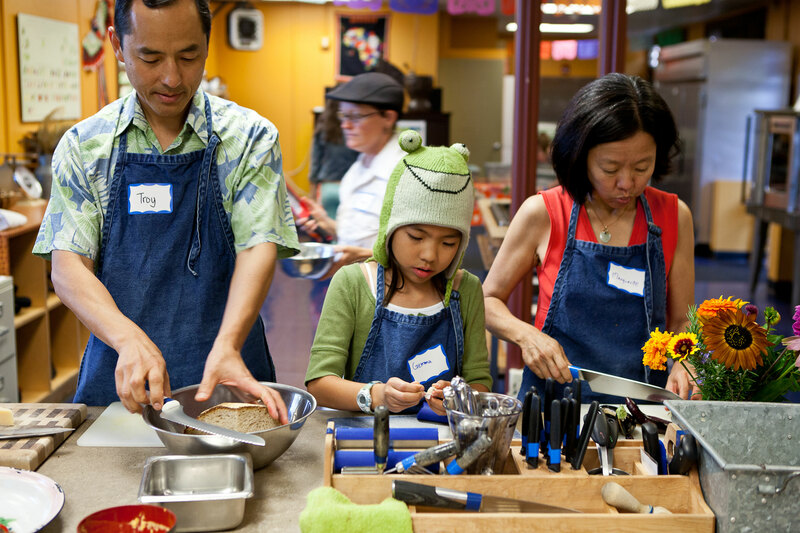 Join us in the Edible Schoolyard's kitchen classroom as we cook and eat a meal together. Family Nights Out classes are open to all King Middle School families. We will share recipes and techniques for preparing meals at home – and have lots of family fun! Classes begin at 5:30 pm and end at 7:30 pm. Family members of all ages are encouraged to participate. Please review this semester's class schedule below and enter the Family Nights Out lottery to attend. Select the date of the class you wish to attend, click the "Register Now" button, and complete the form. We will close lottery registration a few weeks before the class date. Each class event page lists the exact date it will close. After the drawing is complete, you will be notified by email. Thank you for only completing one form per family per class. For questions, please email Griselda Cooney, Family Nights Out Coordinator, at griselda@edibleschoolyard.org. If you are drawn in the lottery you will receive an email prompting you to register for the event. As you complete the online registration you will be prompted for payment. Families are invited to pay on a sliding scale between $10 and $50 per family. There is no payment expected for families participating in the free or reduced-price school lunch program. No payment is required to enter the lottery.